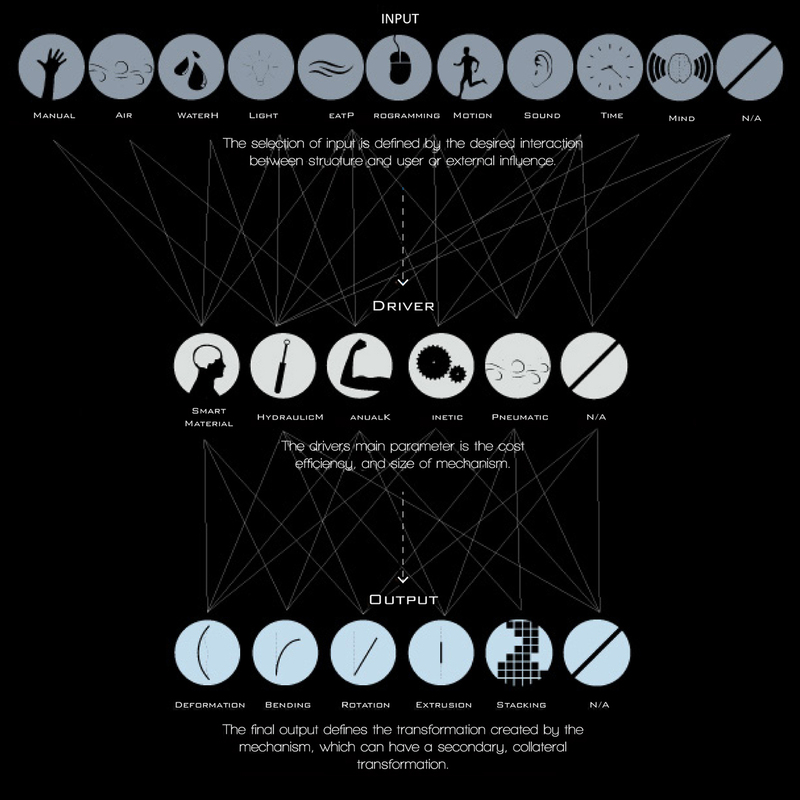 This thesis approaches the research topic of self-assembly as both theoretical and practical. 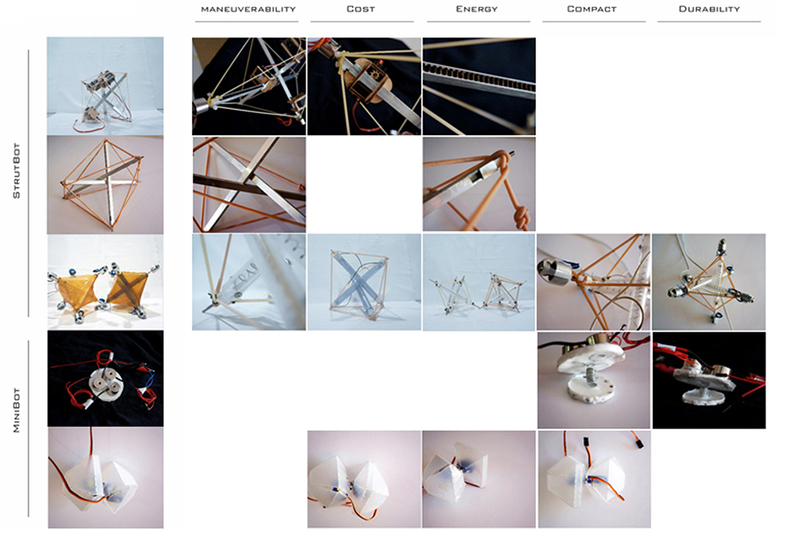 On the one hand it presents self-assembly as a physical, functioning, prototyped system, whilst simultaneously aiming to understand and provide scope for the application of self-assembly in real-world scenarios. It takes a logical approach to present the true limitations and issues associated with self-assembly as a theory and as a practical application in construction. The term self-assembly refers to components which can assemble themselves into a predefined or spontaneous structure. 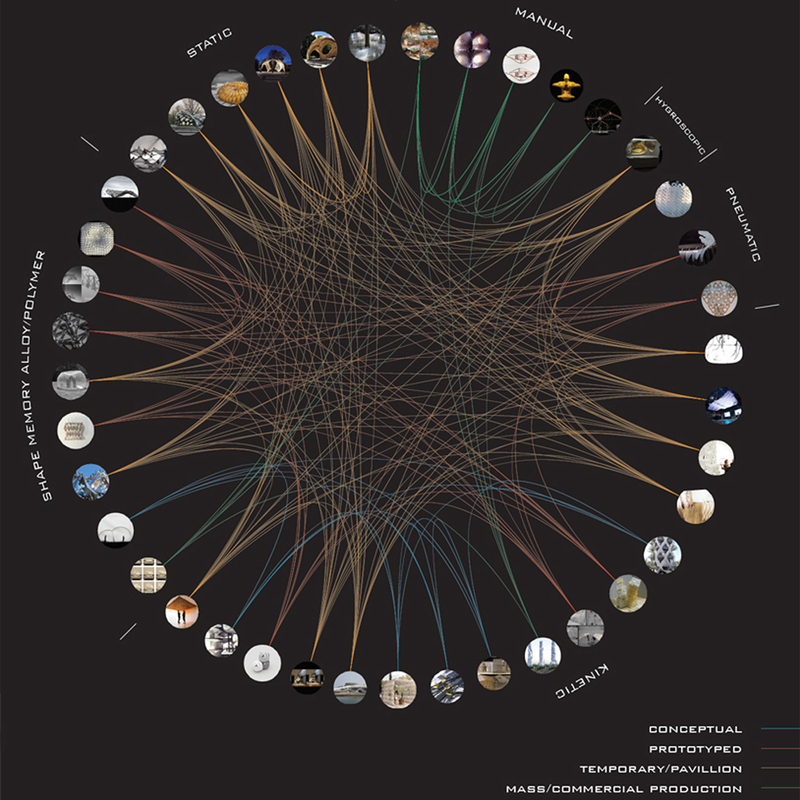 The first aim of the paper is to analyse precedents in the built environment for responsive/adaptive structures. The second stage prototypes a self-assembly system derived from the conclusion of the first stage. This looks at the optimal materials and technologies from the multitude of precedents, before finally testing and applying them in both computer simulations as well as constructed prototypes. Finally the third stage of the paper applies the prototyped system into simulated, realistic scenarios. 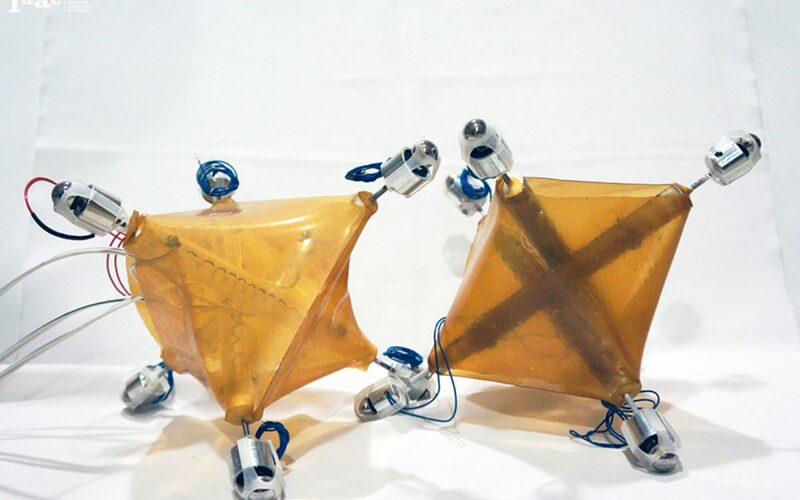 This final stage evaluates the limitations and potential applications of this and any self-assembly system in the build environment, concluding that best applications are when human life is at great risk. 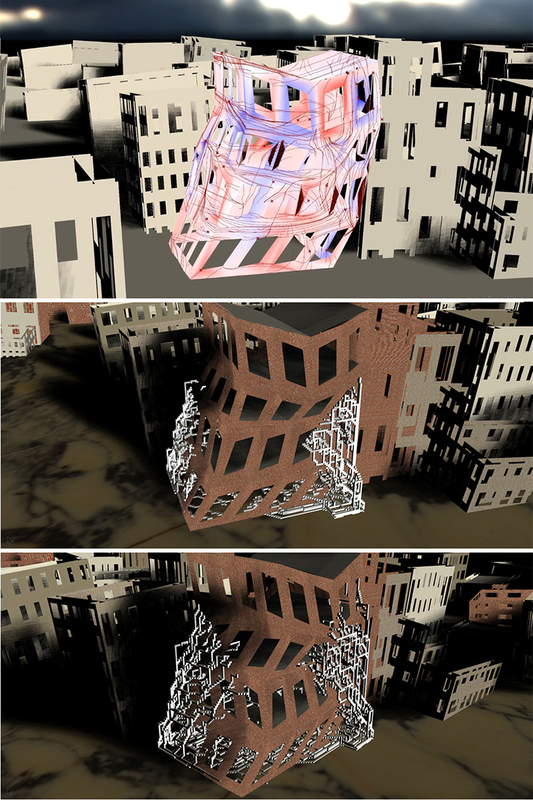 The purpose of this research paper is to present an alternative theory to the future of construction principles, and to offer opportunities for integrating robotics into construction and built forms with the aid of creating firstly responsive structures and secondly structures which can be built without physical human input – creating opportunities to build in previously inaccessible areas or situations. Over 50 projects were catalogued and categorised based on a simple index of the types of Input; Driver, &; Output, to understand the relationship between actuators and transformations. The relationship between actuators and final application, allows conclusions to be drawn as to the types of applications of actuators in the built environment. One conclusion, for example, is that Shape Memory Alloys are mainly limited to prototyping. Extensive testing was conducted on various actuators to evaluate cost, size, power and additional circuitry/component requirements. 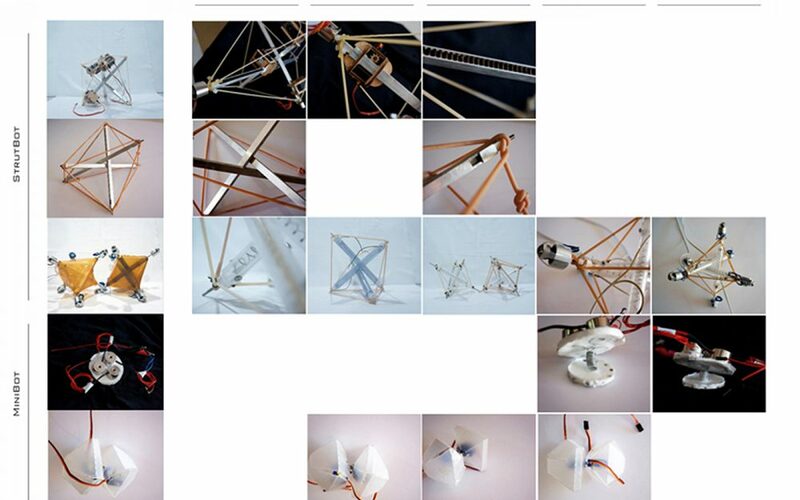 An evaluation was made of the various prototypes constructed, with the SMA actuated 100mm strut tensegrity robot finally selected. 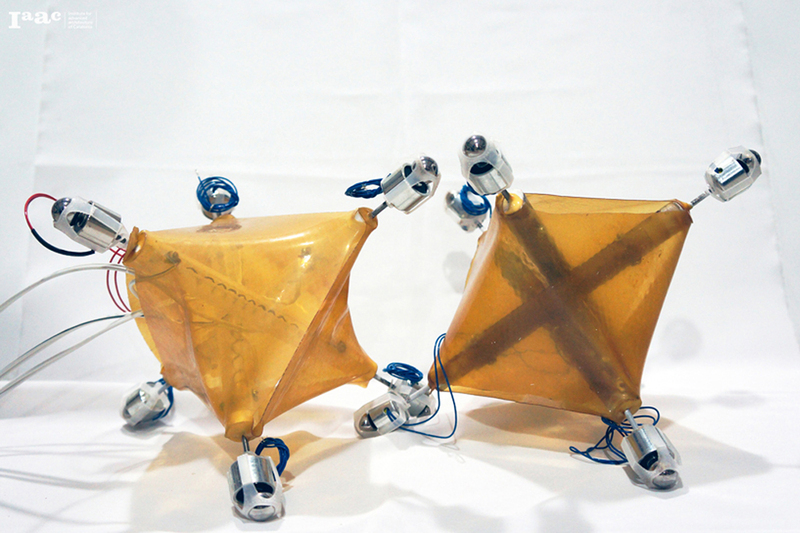 The final prototype was a successful tensegrity robot, with a latex membrane as the skin and tensile component, as well as electromagnets for connections. Grasshopper was used to command the robots, with the plug-in FireFly and a Bluetooth receiver with Arduino allowed a wireless control of each individual robot. The robots are able to map out the required path step-by-step. 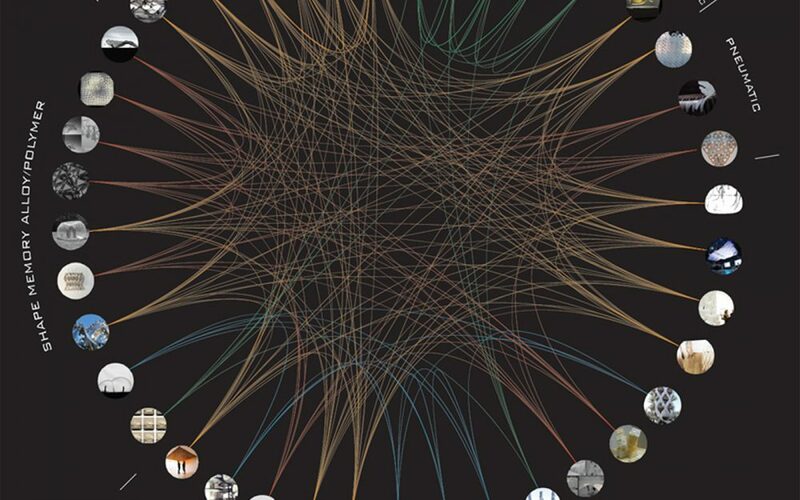 The definition allows the robots to map the shortest path, understand if the structure requires temporary support, and act both independently and communally to construct both simple and complex structures. 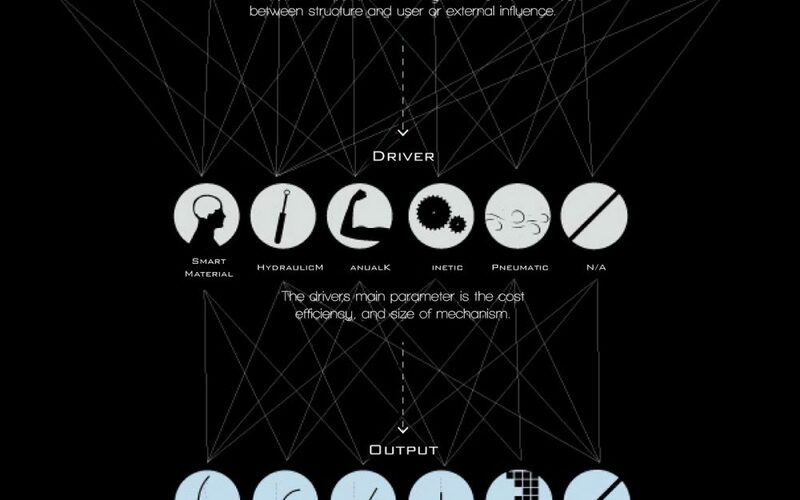 Post-prototyping, an in-depth analysis of the various limitations faced by the technology and self-assembly field was conducted, and subsequently graphed with potential applications to understand where self-assembly could be best justified. The proposed application looks at aiding Search & Rescue teams in finding survivors after an Earthquake. Structurally impaired buildings are highly unstable, so the self-assembly system constructs temporary supports to stabilise the building.